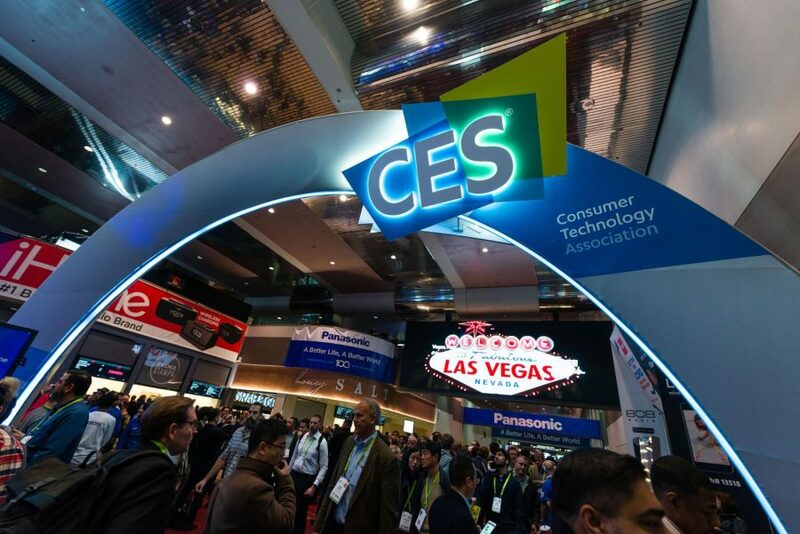 With three halls, one of which spans two floors, the Las Vegas Convention Center is the main exhibit space of CES, easily the size of four convention centers in other cities. If you see tech journalists on Twitter (myself included) bemoaning an approaching CES, the ultramarathon at LVCC has a lot to do with it—never mind the $6 coffees and $8 hot dogs. But I find myself spending less time there every year, as the ratio of noteworthy products seems to be higher in the other venues. Instead of prowling every aisle like I used to, I make notes of individual exhibitors I want to see—then keep my eyes open for serendipitous booths along the way. But the upside of LVCC is that it’s where you see the humongous corporate displays, including fanciful exhibits like this LG video wall. Anker had a pile of 1-inch plastic cubes that didn’t catch my eye, and I felt like an idiot later when I found out they were MacBook chargers. 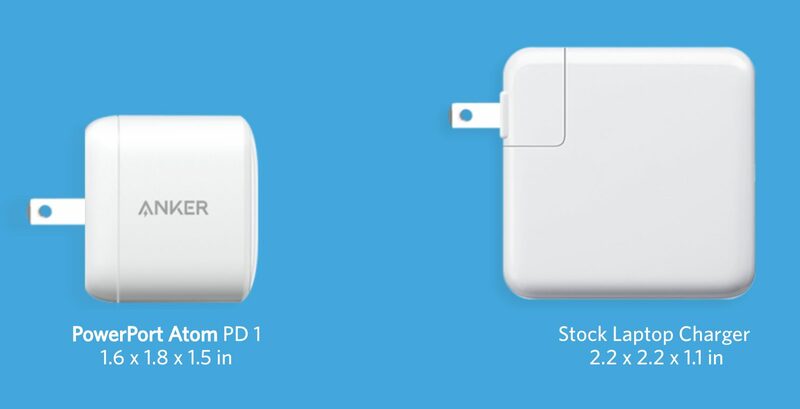 At 30W, don’t expect the PowerPort Atom PD 1 to charge your MacBook quickly, but at 2.2 ounces (62 g) and $29.99, it’s much smaller and cheaper than Apple’s 30W power adapter. With either, you can expect a MacBook Pro to discharge slowly while it’s in use, so if your battery is completely dead, you’ll have to wait a while for a charge. It’s definitely on my purchase list when it ships later this month. Meanwhile, Anker’s PowerCore+ 19000 PD Hybrid is a 19,000 mAh battery with a neat trick—attach it to your laptop and it turns into a hub providing USB-A ports. At $129.99, it provides a bit less power and is a bit more expensive than older Anker batteries, but you may find it useful to eliminate a device from your gadget bag. It’s available now. I was intrigued by BrainCo last year (see “CES 2018: CES Unveiled Gives a Duck,” 9 January 2018), when the company was demoing a prototype brainwave monitoring headset while conducting initial trials in China. 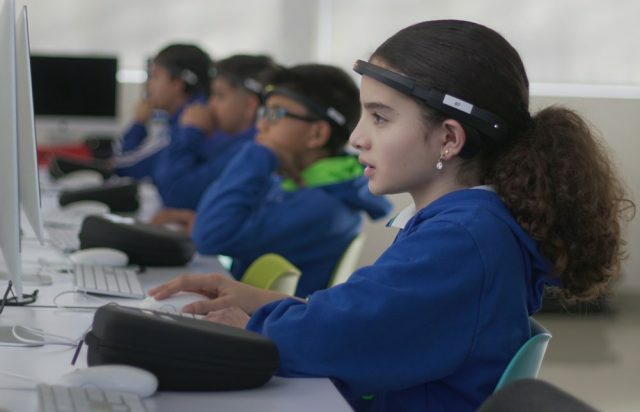 This year, the company is back with a more refined headset and programs to aid students, athletes, and others in improving their mental focus. BrainCo is very careful not to make medical claims, but the word ADHD hovers in the air during these conversations. I’ve been diagnosed with ADHD, and I’ll try to review the individual model, called FocusNow, at some later date—although results are extremely difficult to judge objectively. Everyone I’ve met from this Harvard-backed company is reluctant to say anything before the product is peer-reviewed. Its products are not yet for sale, but there’s a Contact Us link where you can get in touch. It’s difficult for audio headphones to rise above the noise at CES, but Cleer’s offerings demand attention for their nearly magical claims to battery life. The company’s Flow II BT wireless headphones—the kind that put cups over your ears—promise up to 100 hours of playback on a single charge, or 20 hours if you use the included active noise cancellation. They’re $279.99 and shipping in early 2019. 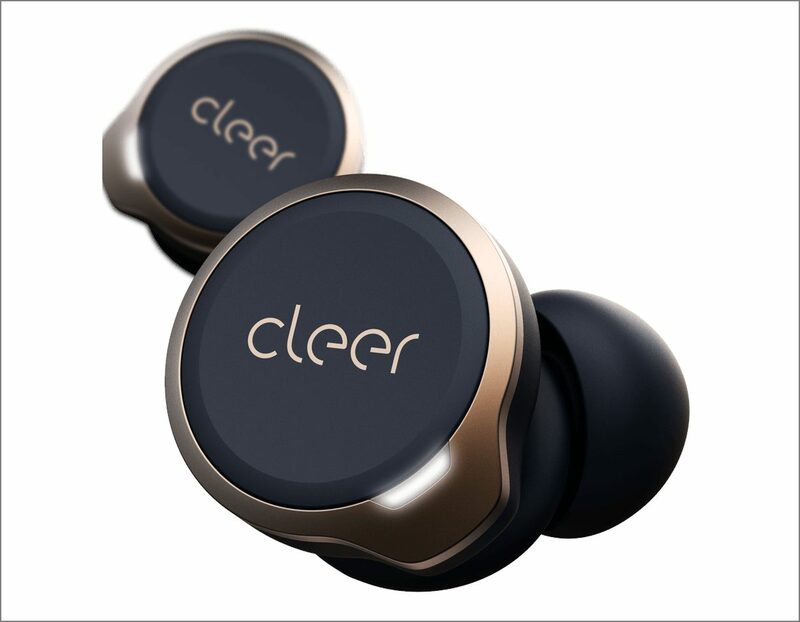 Meanwhile, Cleer’s Ally Plus wireless earbuds provide twice the battery life of the AirPods and get 10 hours on a single charge, even with active noise cancellation turned on. The battery in the case provides another 20 hours of life. They cost $199.99 and are coming sometime this year. Hyper hit my radar years ago by being one of the first to market with a battery that could charge a MagSafe MacBook—a trick the company still accomplishes with the Hyper Juice Magic Box, which can charge any MacBook or iPad once you add the associated USB-C adapter. It costs $199.99 to $499.99 depending on capacity. Hyper’s new items are both innovative docks. The HyperDrive for iPad Pro attaches to a new USB-C equipped iPad Pro and provides it with ports only dreamt of by earlier iPads: HDMI, SD, Micro-SD, USB-A, and passthrough USB-C power and data. And it brings back the headphone jack. It’s shipping next month and will retail for $99, but has limited availability for $69 on Indiegogo. Meanwhile, the HyperDrive USB-C Hub sits flush on your MacBook Pro charger and adds two USB-A power ports in addition to a USB-C passthrough power port. It knocks a few watts off the power that goes into your MacBook, but not enough to notice. It costs $49.99 for the 15-inch MacBook Pro and $39.99 for the 13-inch model. Some people wish their MacBooks still had an SD slot. Photographers who juggle multiple SD cards might prefer the IOGEAR Thunderbolt 3 6-Slot SD Card Reader, which provides a whopping six slots. They boast 312 Mbps read and 260 Mbps write speeds, along with LED lights to remind you which slots are in use. Did I mention it has six slots? To me, that’s like a MacBook with six hard drives, but I can practically hear photographer and TidBITS Contributing Editor Jeff Carlson salivating from here. Available now for $149.99. A 3D pen is nothing new—I wrote about the 3Doodler years ago (see “CES 2014: ShowStoppers Continues the Robot Armageddon,” 9 January 2014). 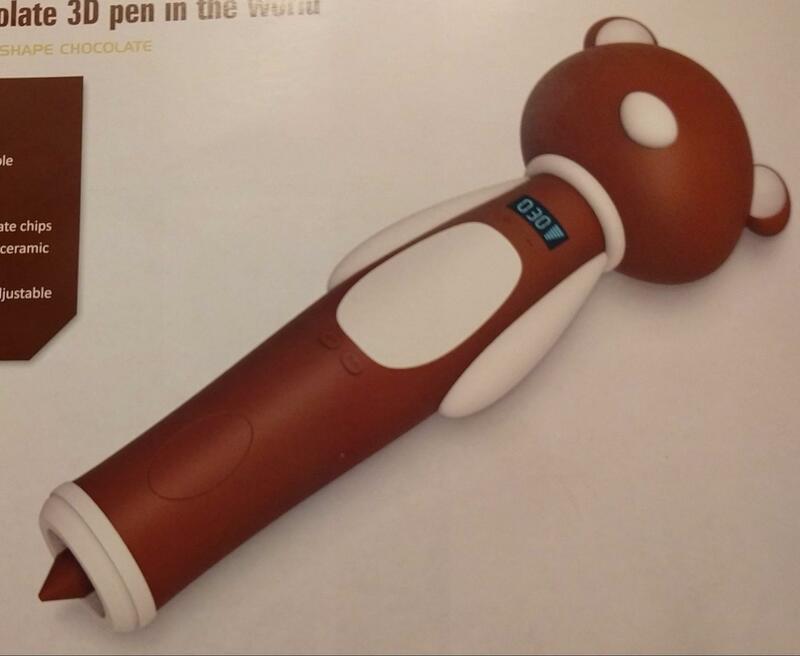 A 3D chocolate pen, well, that’s new. It’s the CP001 from Jer Education, a Chinese company that has no US distribution as yet but is trying to bring a range of 3D-printing pens to market. Even if I weren’t intrigued by the printing material, I’d have to say that the teddy-bear form factor of the chocolate pen is adorable. All of the artwork on display was in chocolate brown, but take it from a guy whose family ran a candy store—with white chocolate and food coloring, the sky’s the limit. CES has some unbelievable offerings every year, but the NazTech SmartPack approaches incredulity on the basis of being too good to be true. 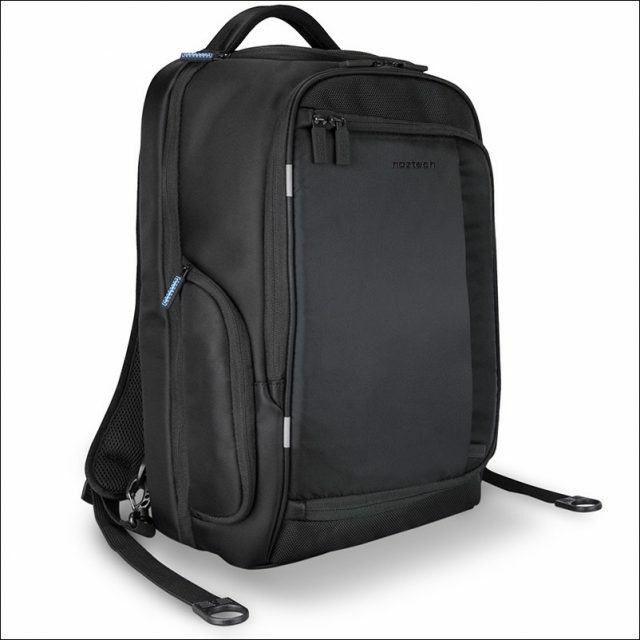 This backpack has a 30-liter capacity and 20 compartments (several more if you add an optional camera case), including a hard case for eyeglasses. It opens flat, so you can pass it through an airport scanner without removing laptops or large gadgets from their sleeves. A dedicated pocket holds a battery—either the one the company sells as an optional add-on, or one you already have—and there are cable runs throughout the bag to charge your devices in their pockets, plus an external port so you can charge something else without opening the bag. There’s a hidden pocket with RFID blocking and a sleeve that mounts the backpack to the handlebars on a roller bag. Finally, it’s made with ballistic nylon and promises ventilation such that you can wear it all day without sweating through your clothes. At $149.99 for all that (excepting the optional accessories), I’d expect it to fall apart in months—so color me flummoxed that it has a lifetime warranty. I’m still skeptical that it’s as good as it sounds, but I’m hoping to get my hands on a review unit so I can confirm it for you. NETGEAR announced that its existing Orbi mesh Wi-Fi routers will receive a firmware upgrade in the latter half of this year to enable 802.11ax, also known as Wi-Fi 6 (see “Wi-Fi Switches from Obscure Protocol Names to Simple Generation Numbers,” 5 October 2018). 802.11ax will be faster than your existing 802.11ac network (now called Wi-Fi 5), and will also utilize some neat tricks to improve the quality of service. (I’m still waiting for the day we no longer say, “plug in an Ethernet cable if you need speed and reliability.”) Also on hand was the company’s Nighthawk 5G mobile hotspot, which notably uses “true” 5G on the AT&T network. (Verizon had earlier 5G service before the 5G standard was released; this one is standards-compliant. Meanwhile, some AT&T “5G” service is plain old 4G LTE.) 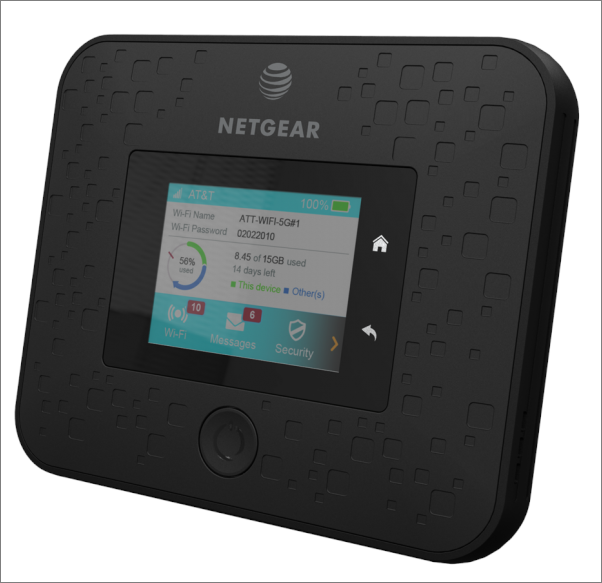 This is more in the nice-to-know than the nice-to-have category, as the hotspot hardware costs $499 and the service is $70/month with a 15 GB cap. Back in 2017, I was skeptical when industry representatives promised a future high-cap or no-cap nirvana (see “Ideas from CES 2017: 5G in Your Future,” 19 January 2017), and I’m sorry to be proven right. 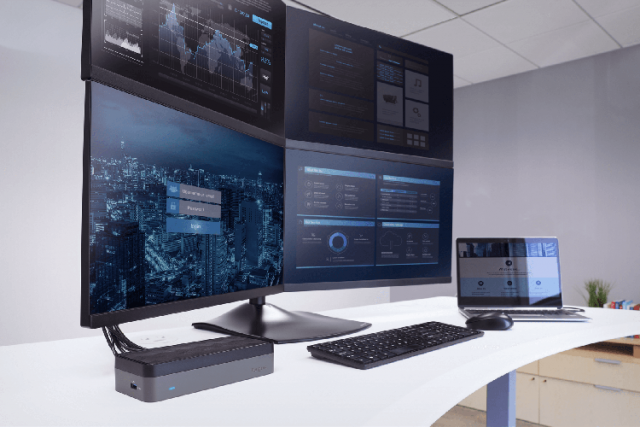 If AT&T can service the Nighthawk at 5G’s top rated speed (and if the Nighthawk can handle it), you could blow through your monthly bandwidth in under 35 minutes. I haven’t had a limitation like that on my cell phone plan since 1996. Targus, as usual, had a large booth with a bewildering panoply of products. I’m looking at the company’s press kit, which lists 50 different products and has little indication of which are new. Standing out, however, is the Targus Mobile VIP+ Backpack, which has an innovation Naztech didn’t think of—the included 5000 mAh battery will charge a Qi-equipped iPhone in a pocket designed for the purpose. It also sports an RFID-blocking pocket and otherwise has the bells and whistles you’d expect from a high-end laptop backpack. It’s available in April 2019 for $199.99, but note that’s $100 more than last year’s Mobile VIP edition. Also new is the USB-C Universal QUAD HD (QVHD) Docking Station, which provides 4 HDMI ports for hooking up external monitors. While a quad-grid monitor setup looks pretty darn cool, I don’t know that Mac users are the target audience for this—four 1080p monitors have exactly as many pixels as a single 4K display. Some MacBooks can handle four of those. But if you have a workflow that prefers multiple monitors at a lower resolution, the Quad HD costs $274.99 and is now shipping. 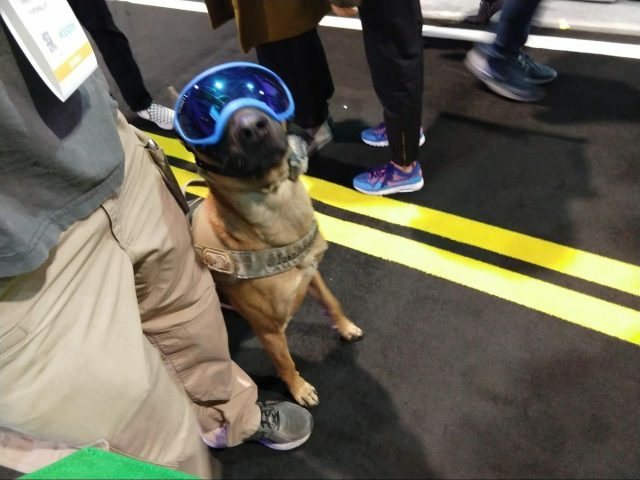 Finally, I’m not sure if this seeing-eye dog was demoing VR goggles or just nattily dressed, but he certainly was the center of attention. What the %&^$ has he put on me now!